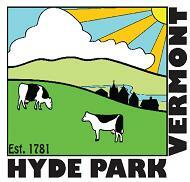 Welcome to the Hyde Park, Vermont Website! From the tree-lined historic Village with the Governor’s Mansion to the majestic mountaintop views of nearby Mount Mansfield and Smugglers Notch to the pristine Green River Reservoir, with its 19 miles of undeveloped shoreline, there is a special feeling in Hyde Park. The Village of Hyde Park is nestled along the banks of the beautiful Lamoille River, surrounded by Vermont’s lush Green Mountains. Hyde Park has welcomed visitors for more than two hundred years! Once the destination of the wealthy from New York and Boston who traveled via train to spend their summers in the country, Hyde Park has become a destination for vacationing visitors from around the globe. Visitors can now stay at the Bed and Breakfasts provided by the Fitch Hill Inn and the Governor’s Mansion, try a “farm stay” at Stony Brook Farm, fresh milk at Farm of Milk and Honey. Located in the Lamoille River Valley in the heart of northern Vermont, the region is the fastest growing in the state. The Lamoille River Paddlers’ Trail is a community effort to establish a network of well-maintained river access points, primitive campsites and portage trails from the headwaters to Lake Champlain. The education, opportunities for entrepreneurship, superb infrastructure, public transportation, and four-season natural beauty bring many to visit, and many to make their homes here. The world-famous resort village of Stowe, Vermont is located just eleven miles south along the Scenic Route 100 Corridor. Hyde Park and the surrounding north-central Vermont region offer legendary fall foliage, spectacular skiing, VAST snowmobile & VASA ATV trails, stunning summers, incomparable accommodations, spas, recreation, including the Lamoille Valley Rail Trail, dining, and shopping. Hyde Park’s allure is timeless. Your visit – unforgettable. Join your free community email service! The mission of Front Porch Forum (FPF) is to help neighbors connect and foster community. 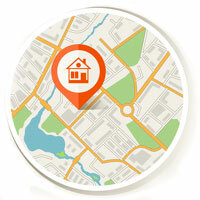 This gets done by using an email network for online forums, similar to a digital trading post or virtual town square. People use the service to find plumbers, announce school events, debate town budget, give away strollers, rally volunteers for pie suppers, trade equipment, describe wildlife sightings, organize farmers markets… you name it. Join: It’s as easy as visiting www.frontporchforum.com and filling in a short form. Community Partners bringing this service to Hyde Park include; Hyde Park Town and Village taxpayers; the Hyde Park Community Circle; Polow, Polow and Mahoney, PLLC Attorneys at Law; and Carolyn Smiles.